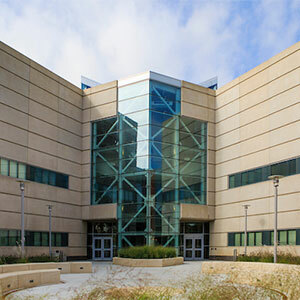 The College of Information Science and Technology (IS&T) is a path-breaking model for information technology education. We offer innovative curriculum that challenges the next generation of IT professionals. Through our five bachelor's and six graduate degree programs, IS&T empowers you to pursue your deepest passions. For certain programs, a 4+1 Integrated Undergraduate/Graduate Track is available, allowing students to complete their undergraduate and master's degrees in five years. In addition, a number of undergraduate certificates are also offered for students who have completed an associate degree. One of only 14 such programs in the United States, Bioinformatics is a rapidly growing scientific discipline that has a solid IT foundation. With this degree, you will be able to help answer the big questions of public health by analyzing, collecting and processing data describing the structure and function of biological systems. The need for secure information systems has become a paramount concern as our digital-based society continues to become even more connected. Cybersecurity is a rapidly-changing field, and our degrees prepare you to address fundamental problems in protecting online assets. The only undergraduate degree of its kind in the United States, our IT Innovation degree appeals to the entrepreneurial student. By empowering students to design their own curriculum and combining it with a solid core of IT coursework, the sky's the limit for the possibilities a degree in IT Innovation will give you. Building your ability to solve problems better, a degree in MIS will help you integrate technology into your career track. MIS faculty specialties include collaboration science, IT for development, human-computer interaction, rural health information management, and virtual project management. Dual degree programs are available in Business Administration as well as Public Administration. An education in Computer Science provides a firm foundation in the theory and applications of computing while preparing you for a career in an ever-changing field. Our multidisciplinary approach will provide you a strong foundation for graduate study, entry into many computing professions and lifelong professional growth. A dual-degree undergraduate program in Computer Science and Computer Engineering is also available. Breakthroughs in public health and data analysis have a profound impact on our society. Our master’s and doctoral degree programs in Biomedical Informatics (a joint program with University of Nebraska Medical Center) offer new and pioneering curriculum with multidisciplinary emphases in information technology. Through these programs, you will be an innovative part of the next generation of healthcare. A Ph.D. in Information Technology integrates theory and practice of applied computing, information systems, Internet technologies, and advances in telecommunications and management of information technology. With a strong integration of teaching experience and state-of-the-art research facilities, our doctoral program prepares you for the next step in your career.